Back at the gorgeous Blake Hall in Ongar for the wedding of Jessica and Tim. Such a beautiful summers day! 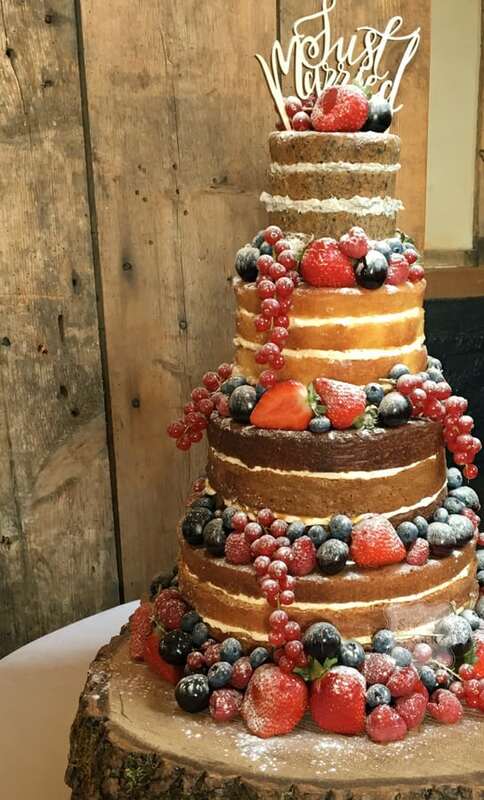 The happy couple decided on a rustic 4 tier naked wedding cake decorated with fresh seasonal berries and a dusting of icing sugar. Their flavours were strawberry & champagne, salted caramel, lovely lemony lemon cake and cookies & cream. Sending you many congratulations and wishing you a lifetime of love and happiness to you both!